Home » Blog » Gift Certificates Now Available Online! Get instant, fully customizable gift certificates online here! Make your Holiday, birthday, or anniversary shopping easy. 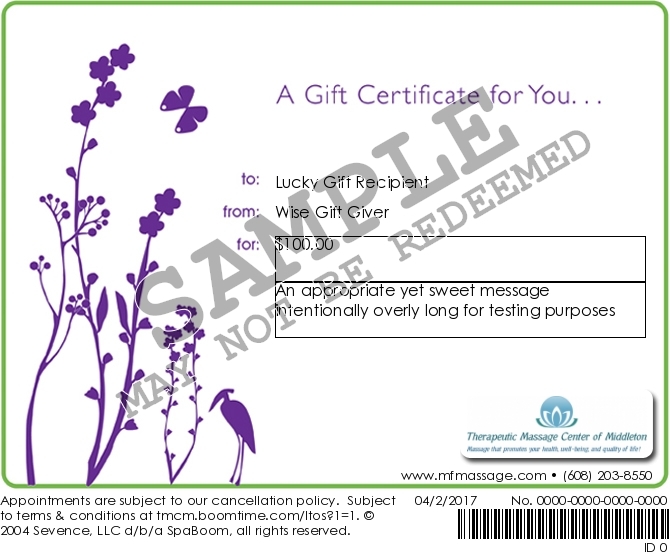 Gift certificates for the Therapeutic Massage Center of Middleton are now available online. Purchase a massage package, session, or specific dollar amount by visiting us at https://tmcm.boomtime.com/lgift. Gift certificates are fully customizable with the option of being emailed to the recipient, printing it out yourself, or having us send it in the mail. 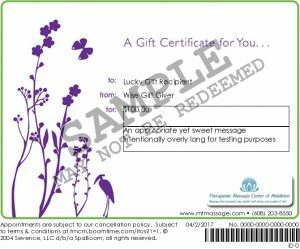 A gift certificate from the Therapeutic Massage Center of Middleton is the perfect way to say that you care about the recipient’s health, well-being and quality of life!